A major pro-life advocacy organization is taking issue with Pope Francis' recently released statements equating social injustice and abortion, stating that the head of the Roman Catholic Church "causes confusion" with his remarks. On Monday, Pope Francis released a 104-page apostolic exhortation titled "Gaudete et Exsultate," which translates into English as "Rejoice and be Glad." Susan B. Anthony List President Marjorie Dannenfelser released a statement Monday in response the exhortation, saying that it "is impossible to equate the moral weight of abortion" with "any other social justice issue." "The right to live predates or precludes every other right. It is simple logic. Without the fundamental right to life, no debate can even begin on the rights that follow. The Catholic Church has long taught that abortion is an intrinsic evil that must always be opposed," said Dannenfelser. "We all affirm the absolute dignity of the migrants and those suffering from poverty. How we solve these issues are matters of prudential judgment on which Catholics can disagree. Today's exhortation blurs lines and causes confusion." In the papal document, Pope Francis argued that efforts to fight social injustices are as important to the mission of the Church as the fight against abortion. "Our defense of the innocent unborn, for example, needs to be clear, firm and passionate, for at stake is the dignity of a human life, which is always sacred and demands love for each person, regardless of his or her stage of development," wrote Francis. "Equally sacred, however, are the lives of the poor, those already born, the destitute, the abandoned and the underprivileged, the vulnerable infirm and elderly exposed to covert euthanasia, the victims of human trafficking, new forms of slavery, and every form of rejection." 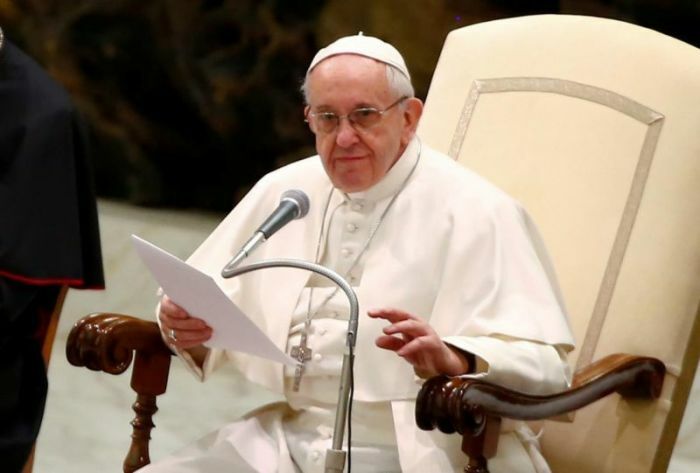 Francis also wrote against secularizing efforts to help the needy, specifically "Christians who separate these Gospel demands from their personal relationship with the Lord." "Christianity thus becomes a sort of NGO stripped of the luminous mysticism so evident in the lives of Saint Francis of Assisi, Saint Vincent de Paul, Saint Teresa of Calcutta, and many others," the pope added. "For these great saints, mental prayer, the love of God and the reading of the Gospel in no way detracted from their passionate and effective commitment to their neighbors; quite the opposite." The exhortation has received positive feedback, with Jack Valero, spokesman Opus Dei in the United Kingdom, telling Vatican News that he considered it a "wonderful document." "This is a wonderful document addressed to everyone, absolutely everyone, and telling them you don't need to be a special person, or a priest, or a nun, or a pope to strive for holiness," stated Valero. "Everybody should strive for holiness and it's very easy: you just need to want and to allow God to do it in you — the grace of God is always available to everyone."